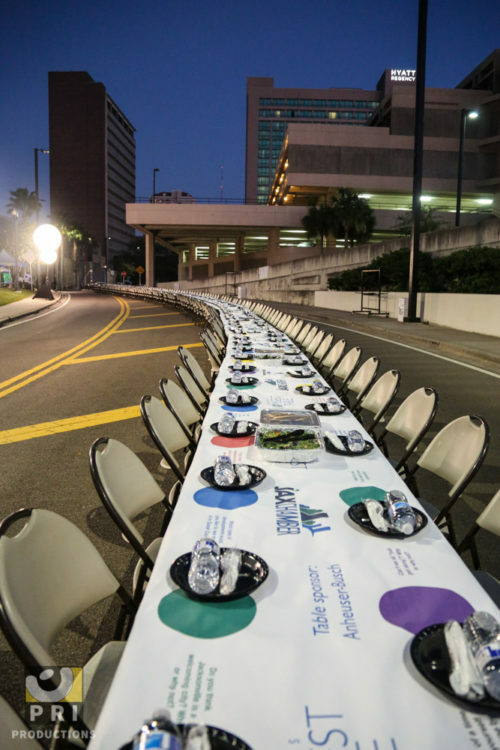 The Longest Table is a shared meal at one table that stretches hundreds of feet along Independent Drive to foster conversation and build relationships across economic, racial, religious and ethnic backgrounds. The 2016 inaugural dinner drew more than 400 people from across Jacksonville for the open-air meal in Downtown. Dozens of elected officials and business and religious leaders will attend the dinner to introduce residents to people from neighborhoods across town and provide a setting to have meaningful conversations. Businesses contributing food include Blue Bamboo, Indochine, Maple Street Biscuit Co., Mocha Misk’i, Seasons 52 and Soul Food Bistro. The event is free, but a ticket is required. Five hundred tickets will be made available online Oct. 26 at bit.ly/LongestTable2017.